Singapore Airlines held the title for the world’s two longest flights between June 2004 to November 2013 when it operated non-stop from its hub in Singapore (SIN) to Newark, USA (EWR) and Los Angeles, USA (LAX) with specially configured four-engined Airbus A340-500 aircrafts. 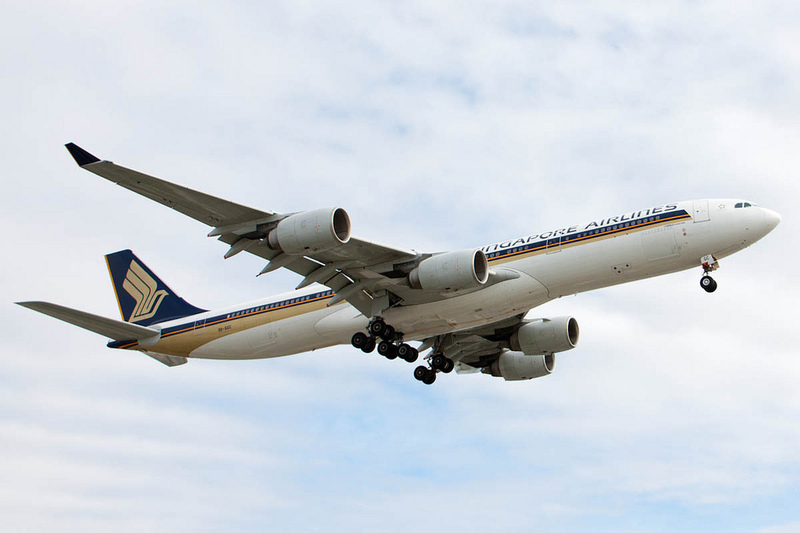 While this title have seesawed between Middle Eastern airlines over the past three years, the title returns to Singapore Airlines with the re-start of the Newark flight on October 11, 2018. (2004-2013) There was significant fan fare when Singapore Airlines announced it would start the dual non-stop flights to Newark and Los Angeles. These flights cut travel time between the cities from three hours with a one stop connection on Cathay Pacific Airways to more than ten hours with multiple connections. The initial configuration of the Airbus aircraft offered 64 business class with seats that turned into lie flat beds and 117 Executive Economy Class with improved seat designs and service. In 2008, Singapore Airlines removed the Executive Economy Class section and installed an additional 36 seats to make it an all business class flight catering to customers who want to save time travelling between the coastal destinations. Citing yield concerns and increased fuel costs of burning 222,000 litres of fuel per flight, the airline announced it would cancel both flights and carry its customers through one-stop service from New York City, USA (JFK), Houston, USA (IAH), San Francisco, USA (SFO) and Los Angeles (LAX). (2015-2018) As engine technology continued to improve, two-engined aircraft variants such as the newer Boeing 787-9 and Airbus A350 were able to travel a significantly longer distance. Singapore Airlines commissioned Airbus in 2015 to design and build a new variant of its A350 aircraft dubbed A350-ULR (Ultra Long Range) (More information here). The redesigned fuel tank system with capacity going from 141,000 to 165,000 litres (37,000 to 44,000 US gallons) and improved maximum take off weight (MTOW) to 280 tonnes (620,000 pounds) enables this new variant to travel up to 20 hours with a 9,700 nautical miles (18,000 kilometers) range. The latter was up by roughly 20% or 1,600 nautical miles (~3,000 kilometers). While the Singapore to Newark flight will commence as SQ22 on October 11, 2018 (with return as SQ21 on October 12, 2018), the Los Angeles flight will not start until November 2018. In total, Singapore Airlines ordered 67 Airbus A350-900s with five confirmed as the ULR variant. It is the only airline in the world to have exclusive access to this variant currently. 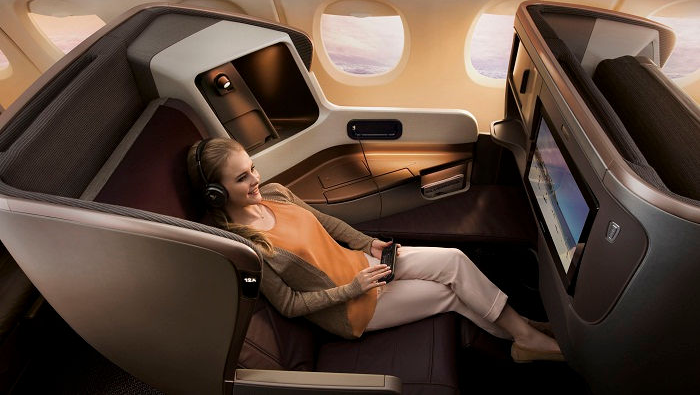 While the Airbus A350-900ULR can accommodate up to 173 passengers in a two class (80 – business and 93 – economy) configuration, Singapore Airlines has chosen to only install 161 seats (67 – business and 94 premium economy) for a more comfortable environment. Both business class and premium economy cabins will feature the airline’s latest in flight products. Additionally there are six premium economy seats located in rows 40-42 that have additional storage designed for single travellers. 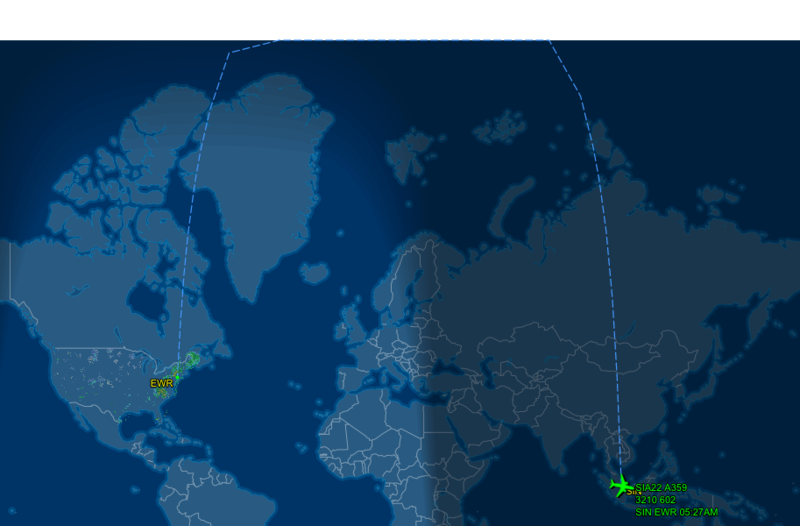 SQ22 departed Singapore’s Changi Airport eight minutes ahead of schedule at 1137pm (2337) Singapore time and will arrive at Newark Liberty International Airport twenty so minutes behind schedule at 527am (0527) EST the next day. The flight will fly through the polar route eastward from Asia through the Pacific Ocean to North America. The arrival time allows customers to get a head start in the New York City / Newark areas or connect to other eastern North American destinations. (Fun fact: the cabin crew sang New York, New York just prior to departure from Singapore). The return flight would continue to fly eastward back to Singapore on October 12, 2018. It is scheduled to depart at 1055am (1055) EST and arrive at 339pm (1539) Singapore Time, the next day. The afternoon arrival time allows customers to catch dinner or connect to other Asia destinations. Note that the new flight schedules are a reverse from the last SQ21/22 pairing which would have the outbound arriving into Singapore in the morning and inbound arriving into Newark in the afternoon. The new non-stop flights will be in addition to the existing one-stop options operated by Singapore Airlines. These flights will add jobs to the local airlines and contribute to the economy through increased tourism and spending. Studies have shown that new international flight pairings can have direct and indirect impacts to economic activities anywhere between hundreds of thousands to millions based on the routing, size of aircraft used and customer spending improvement. Given the cachet behind the flight being the longest in the world, the airline and the local tourism boards have an opportunity to create cross-marketing efforts to entice leisure customers looking for unique experiences. Business travellers should be promoted across different platforms to showcase how the new sets of flights reduce travel time and improve business ties. While the airline is using a regular A350-900 for its non-stop San Francisco flight currently, it is possible that Singapore Airlines will substitute it with the ULR variant if there is marketplace demand and once it receives all five aircrafts. Additionally, the airline has been cited previously that it might want operate non-stop service to other North American destinations such as Chicago, USA (ORD) and Toronto, Canada (YYZ). New destinations would likely require more A350-900 order conversion to this variant. Singapore Airlines will likely hold the longest flight title for at least 4-5 years. Qantas Airways, as part of Project Sunrise, has requested both Airbus and Boeing to stretch its design limits for new variants that could operate the non-stop 22 hour journey between Sydney, Australia (SYD) and London, United Kingdom (LHR). There are no announced plans by both Boeing or Airbus to build such a variant yet.